To perfectly complement our Palladio Parquet, our Marquetry range of borders and motifs can add the finishing touch to a floor area. Available in a wide selection of timbers to gently or dramatically frame a floor area, our parquet borders range from simple one or two line edging in a contrasting timber, to stunning and ornate designs in exciting combinations of colour and texture. 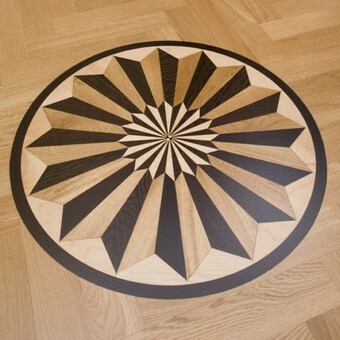 Speak to our team on 020 8508 2555 for more information about our marquetry motifs and borders. 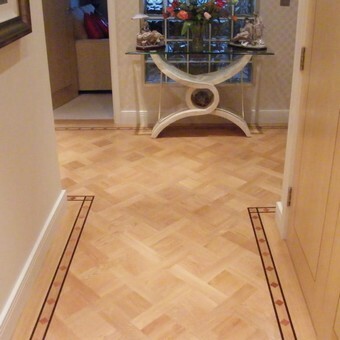 As specialists in the installation and finishing of traditional parquet flooring, our teams can install borders and motifs to create wonderful and unique floors throughout London, Essex and the surrounding areas.